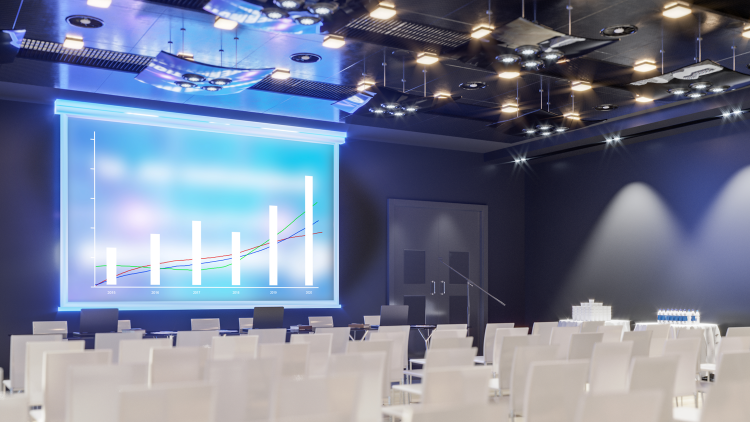 Our presentation systems offer turn-key solutions for small conference rooms to the corporate communications centers for worldwide organizations. We develop premier systems that allow you to craft messages that stand out above the rest, catching the eyes of your audience and increasing their retention. No matter who you are training, teaching or communicating with, your system will dynamically impact your audience. Our highly experienced design engineers create solutions for your exact communication needs, with an eye for the future. Our component based solutions allow you to easily upgrade your system as technology evolves. Each system is designed for flexibility, and ease of use, and can be integrated into other presentation systems.